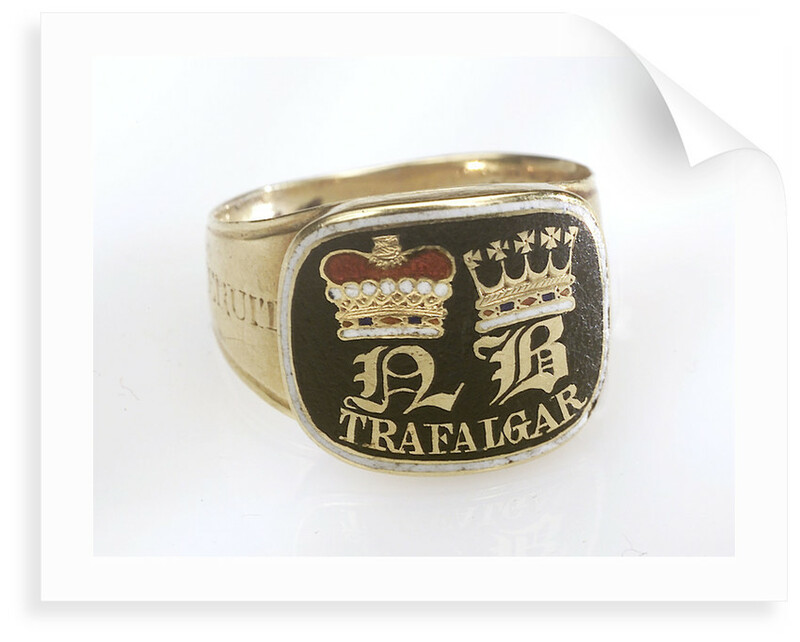 Gold mourning ring commemorating Vice-Admiral Horatio Nelson (1758-1805), which belonged to Thomas Bolton, 2nd Earl Nelson. 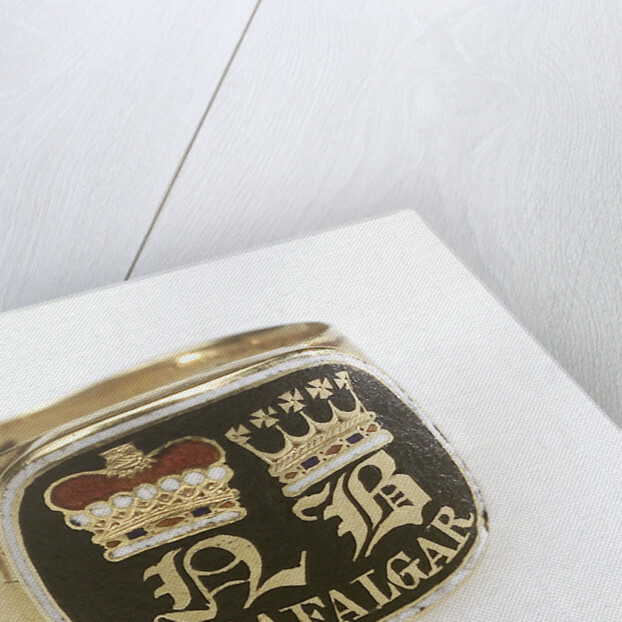 The bezel of the ring is decorated in red and white enamel with the letters 'N' and 'B', below two coronets and the name 'T RAFALGAR' executed on a black enamel background. 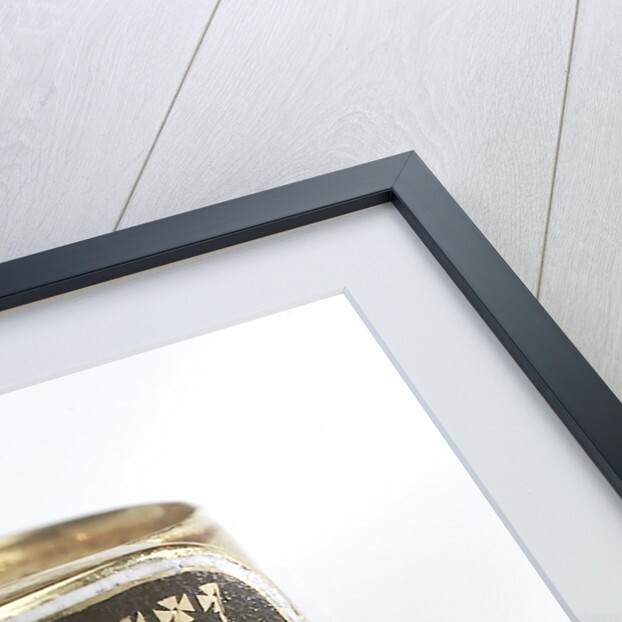 The bezel of the ring is hinged on the right hand side and opens up to reveal a lock of plaited hair contained under glass. 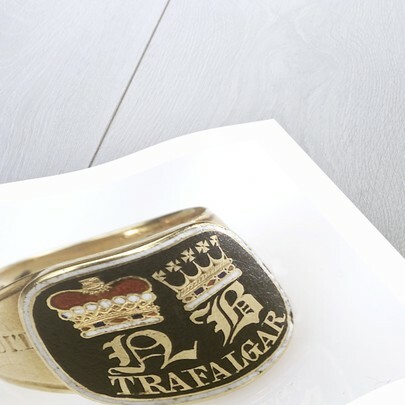 The hoop of the ring is inscribed 'PALMAM QUI MERUIT FERAT', which is the Latin motto of Vice-Admiral Horatio Nelson (1758-1805). The inside of the bezel is also inscribed with the words 'lost to his country 21 Octr 1805 Aged 47'. The ring is contained within a box. More by the artist John Salter.